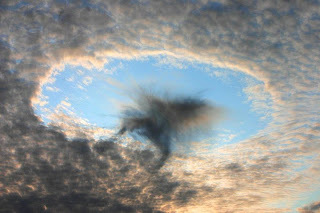 A fallstreak hole, also known as a hole punch cloud, punch hole cloud, skypunch, canal cloud or cloud hole, is a large circular gap that can appear in cirrocumulus or altocumulus clouds. Such holes are formed when the water temperature in the clouds is below freezing but the water has not frozen yet due to the lack of ice nucleation particles (see supercooled water). When a portion of the water does start to freeze it will set off a domino effect, due to the Bergeron process, causing the water vapor around it to freeze and fall to the earth as well. 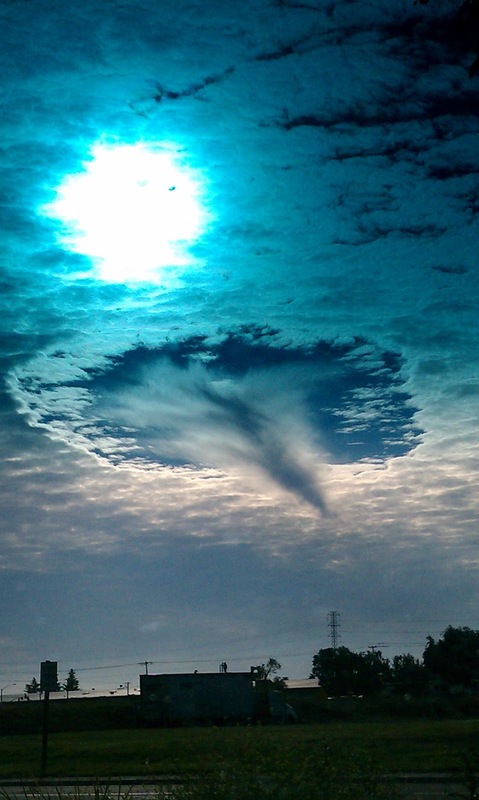 This leaves a large, often circular, hole in the cloud.